There are many myths and misconceptions about Parkinson’s Disease and FirstLIght Home Care is here to set things straight. During the month of April, our caregivers at FirstLight Home Care will share information through our social media channels about the disease. Conversations will include living with or caring for someone with Parkinson’s Disease and tips and resources to help you better understand this progressive neurological disorder that affects nearly one million people in the United States. The first step in understanding Parkinson’s Disease (PD) is to recognize some of the many common misconceptions and myths that don’t truly reflect the reality of the disease. Reality: To date, there is no known cure or way to prevent Parkinson’s Disease. But on a positive note, research on PD has made remarkable progress. The science communities are very hopeful that the causes, whether genetic or environmental, will be identified and the precise effects of these causes on brain function will be understood. Even though there is no cure for Parkinson’s disease, by identifying individual symptoms and determining a proper course of treatment, most people with the disease can live enjoyable, fulfilling lives. Tremors are probably the most recognized symptom of Parkinson’s Disease; many Parkinson’s patients do not have tremors but have rigidity and slow movements. Up to thirty percent of patients do not have tremors at the onset of the disease. And, for others, tremors can be caused by many other conditions. Reality: Currently there is no known cause. Scientists and doctors are studying both environmental and genetic factors and their impact on PD and their research currently suggests that less than 10 percent of Parkinson’s Disease cases have a true genetic link. Reality: There are many actions a person living with Parkinson’s disease can do to help maintain a quality and active life. Exercise, as part of your daily program, may help improve balance issues and motor coordination. It can also have an impact on mood, fatigue and other non-motor Parkinson’s symptoms. Finding the right medical personnel is important. Working with a movement disorder specialist, a neurologist with additional training in Parkinson’s or Physical therapists will help the person with PD. We also , nutritionists and other professional caregivers can help you design a treatment plan and daily care programs that will help you live better with Parkinson’s. Join FirstLight Home Care Parkinson’s Disease conversations happening on our Facebook, Twitter, and Google+ social channels. If you have specific PD questions or would like to know more on how FirstLight Home Care can support you or your family member diagnosed with Parkinson’s Disease, please contact us online or at (866) 985-4031. Thanks for providing this content loaded with information. I would like to add some points on it. “Family members are the best for providing senior care”- No doubt that seniors can always benefit from the care and support of a family member, but professional caregivers can help close the gaps left by restrictions and burnout. #Seniors lose their independence because of home care- The truth is, home care allows freedom to both seniors and their loved ones. 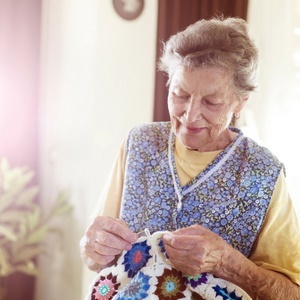 Home care provides reliable assistance for housework so seniors can stay confident and utilize their extra time and energy to pursue their hobbies or get involved with community activities and grandchildren.